Future and Education perspective committee – K.N.P.S.V. During your time at University you will develop yourself on personal and on professional level. You will meet new people and make connections that can be of great importance further in your career. The ‘Future- and Education Perspectives Committee’ (FEP) will organize two activities this year, where we will focus on networking and development. The ‘NIA-day’, or the ‘Day of the Pharmaceutical Industry’, will take place on February 2nd in Utrecht. The FEP will organize this day together with the ‘Dutch Industrial Pharmacists Association’ (NIA in Dutch). During this day there will be several interesting lectures and workshops to attend and of course there will be plenty of time to network. The ‘Personal Development Day’ (PDD) will take place on March 16th in Leiden where you can train and improve several skills during multiple workshops. The theme of the day and the topics of the different workshops will be announced later this year. 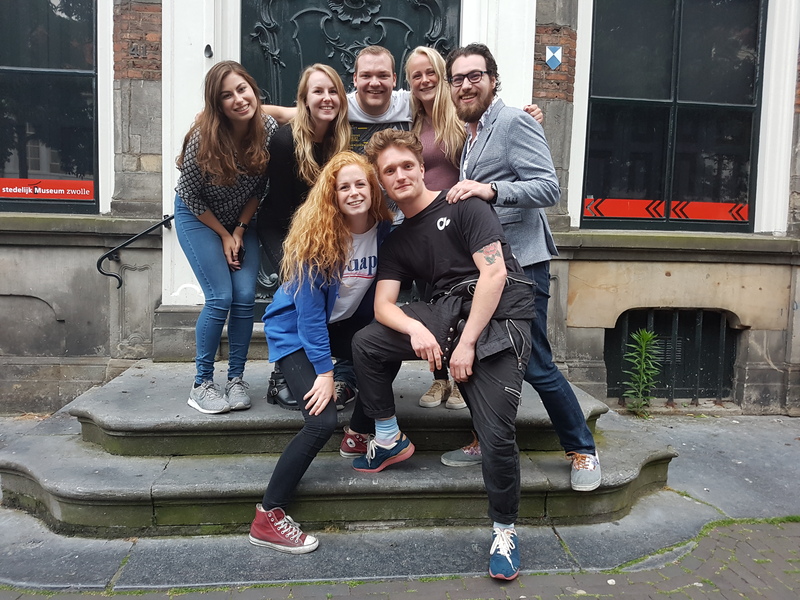 This year, the FEP consist of 9 enthusiastic students, who study in Amsterdam, Groningen, Leiden and Utrecht. Yasmin Sterk is this year’s secretary and she will keep you up to date on all developments concerning the NIA-day and the PDD. Peter Rensen and Niek Rood are the treasurers and they will make sure that both days can be financed. Of course, it won’t be possible to organize these days without our commissioners Heiralde Marck, Joyce de Jong, Lisanne Steringa, Pier Wessels and Imke Bruns. They will make sure that both days will be two unforgettable events. My job is to keep track of everything and to make sure that everything will be arranged in time. So mark your calendars and join us at the NIA-day and de PDD on February 2nd and on March 16th. See you there!